What can you do with a fraudulent order or some other test order that you wish to delete from you prestashop… By fiscal law, all invoices should counter up, by 1 digit at a time. So remove an invoice, without fixing the invoice number means that you will be missing 1 invoice. 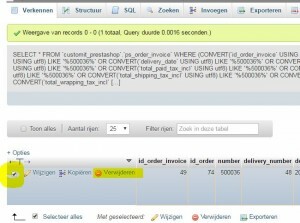 Prestashop does not offer any feature to delete 1 invoice. Since we recently suffered from a fraude order, that we managed to cancel at the very last moment, we want to share this with other shop keepers. So this small tutorial will teach you how to delete invoice and fix invoice counter, just by deleting the invoice from your database. 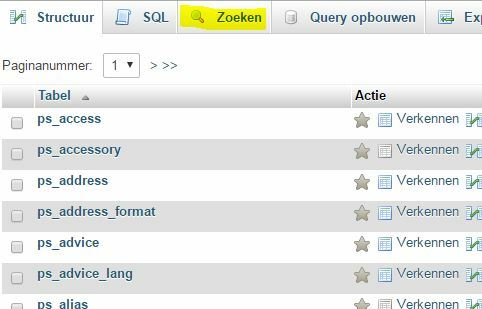 Be for trying to attempt anything in your database, please back it up with the DB-Backup tool from prestashop backoffice. Takes 10 seconds and you are safe!!!! In case you fail, just import the database with your PhpMyAdmin importer. 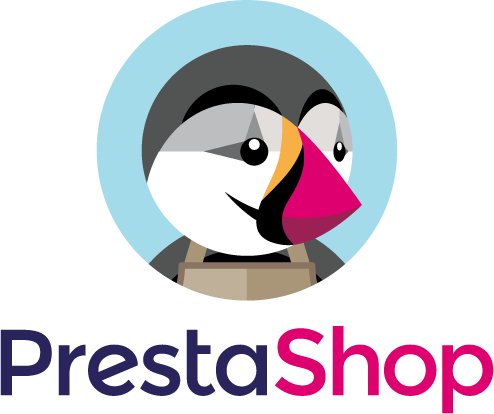 First we must know the invoice number from prestashop that we want to delete. Check out the Orders tab and find out which invoice you want to delete. Copy that number. 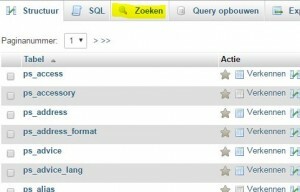 Then go to your phpmyadmin page and click the main database from your prestashop. Then on the top click search like the image below. In the new tab with the result result, which you have to open for both found records…. you have to double check if this is the invoice you want to remove. If so, tick the checkbox and then the delete link. Make sure you remove the invoice in the 2 tables like i mentioned before!!! So check it out in ps_orders and ps_order_invoice. 4What if a newer invoice came in before deleting? Let’s say that just before you wanted to delete this invoice, another order came in… Well the only thing do to is to change the invoice number(s) from the newest one. Since you deleted 1 invoice, you will have to reduce the newest invoices with 1. 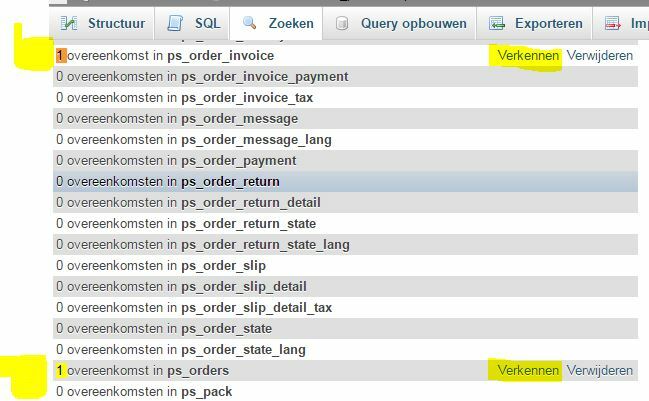 To do so, use the database search function again in phpmyadmin and locate the newest invoices that you want to correct. 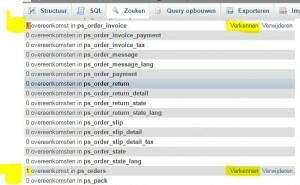 Just replace the invoice number with the correct one AND do it always for the 2 tables: ps_orders and ps_order_invoice. Questions? Just use the comment form. Actually, this procedure is still considered illegal. YOu should not temper with the invoices. If you have a cancelled order, you can also cancel the invoice. You just have to add a “CANCELED” watermark on top of the original invoice. Altering invoices is indeed illegal, this also includes removing invoices from the bookkeeping. But this article is not about altering invoices nor a procedure how to do such operations. I created this page to help people remove for example : test orders from the database. This can be useful if you want to test your checkout without using sandbox payments. There is a need for this, if you google it… So, I still hope people find this helpfull in case you will ever need it!